Henning Larsen was a Danish architect born on August 20, 1925 in Opsund, Denmark. He studied at the Royal Danish Academy of Fine Arts in Copenhagen in 1950, London’s Architectural Association from 1951 to 1952 and the Massachusetts Institute of Technology in 1952. After completing his studies Larsen commenced practice in collaboration with a fellow architect but soon in 1959 he set up his own architectural firm and produced a number of significant projects, won competitions and earned international recognition in 1961. In 1968 Larsen joined the Royal Danish Academy of Fine Arts as a professor of architecture and kept serving there till 1995. Buildings that earned him largest chunk of his fame are the Ministry of Foreign Affairs building in Riyadh and the Copenhagen Opera House. Larsen was quite good at making spaces, both public and intimate, with simple exteriors enclosing lavish interiors with vast variety of design elements and distinctive features. While designing buildings, whether in Denmark or anywhere else in the world, he always kept a close connection between traditional values and demands of the site and modernistic approach of new times. Larsen started an architectural journal in 1980s with the name SKALA and published it for straight ten years. Another contribution that he made to the architectural world was his architecture gallery with the same name, SKALA architecture gallery which ran till 1994. Larsen had an analytical and artistic approach. He always gave tremendous importance to natural light in his buildings or in other words it can be said that light and space were the greatest and most powerful tools used by Henning Larsen. His architectural contributions, whether his buildings or his gallery and journal, inspired the young lot of architects both in his own country and on international level. 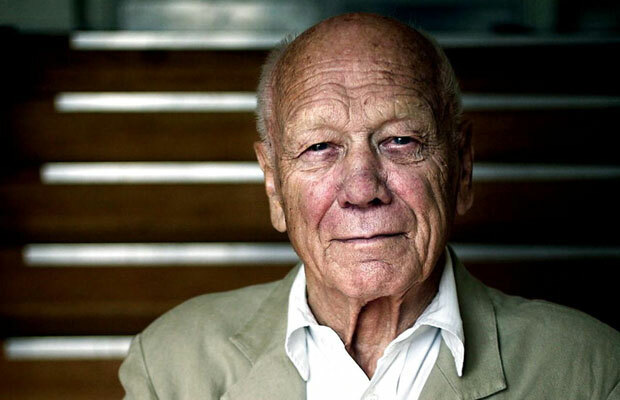 Henning Larsen died in his house in Copenhagen, Denmark on June 22, 2013 at the age of 87.